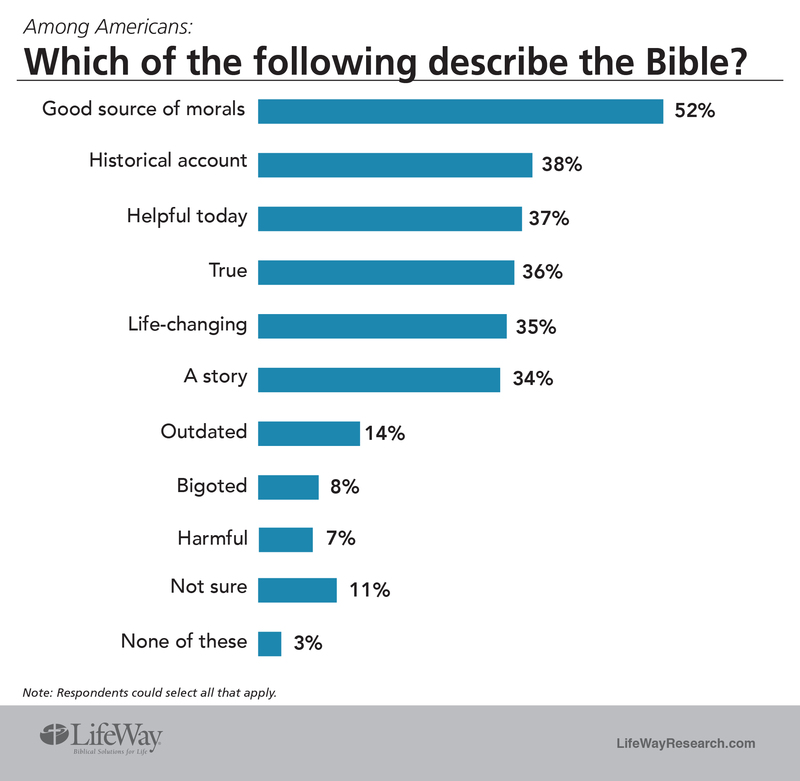 NASHVILLE, Tenn.— Americans have a positive view of the Bible. And many say the Christian scriptures are filled with moral lessons for today. Overall, Americans seem to like the Bible but don’t have much urgency about reading it, said McConnell. 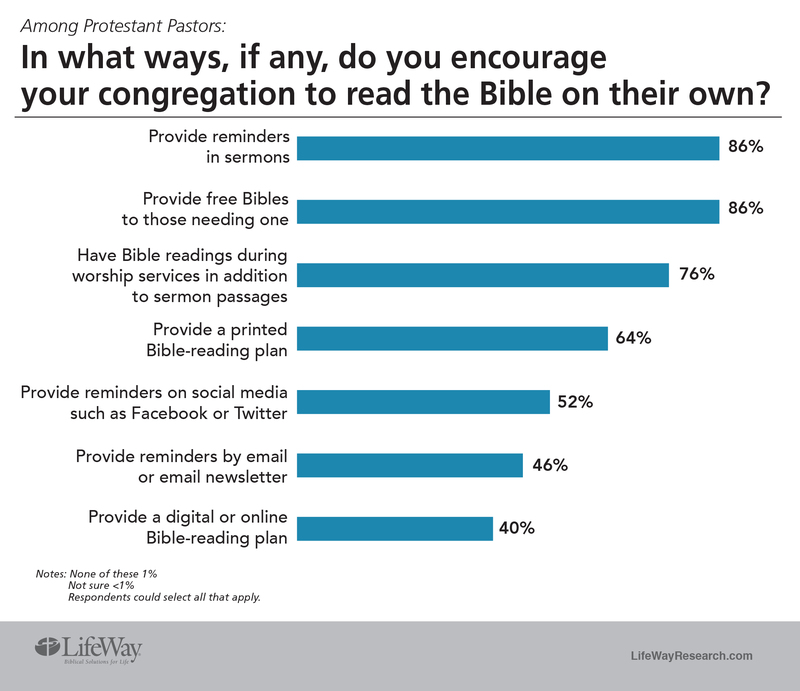 A LifeWay Research survey of 1,000 Protestant senior pastors found most give out free Bibles to those who need them (86 percent), include reminders about reading the Bible in their sermons (86 percent) and include Bible readings in worship services (76 percent). 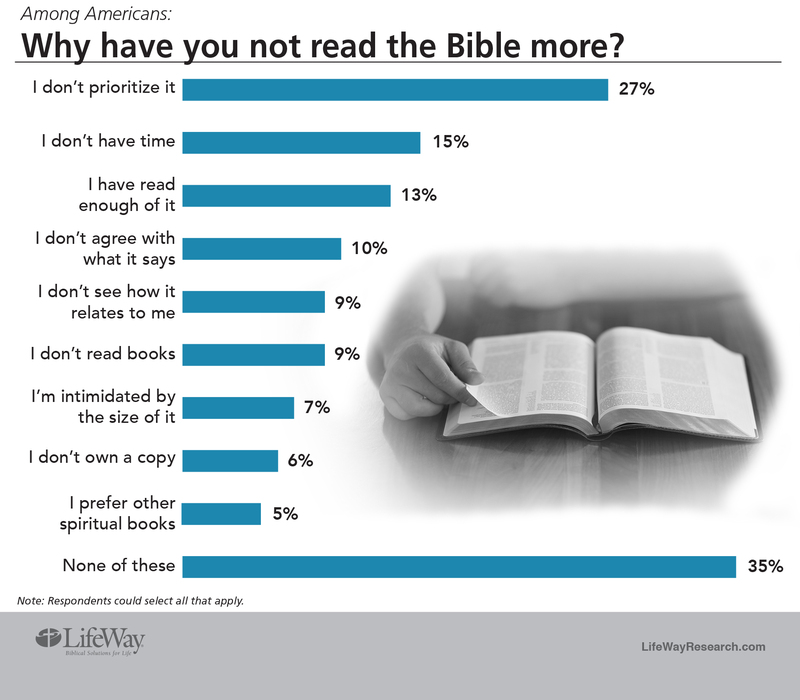 Two-thirds (64 percent) give out printed Bible-reading plans while 40 percent provide digital-reading plans. Half (52 percent) send out social media reminders, while 46 percent send out reminders by email and newsletters. 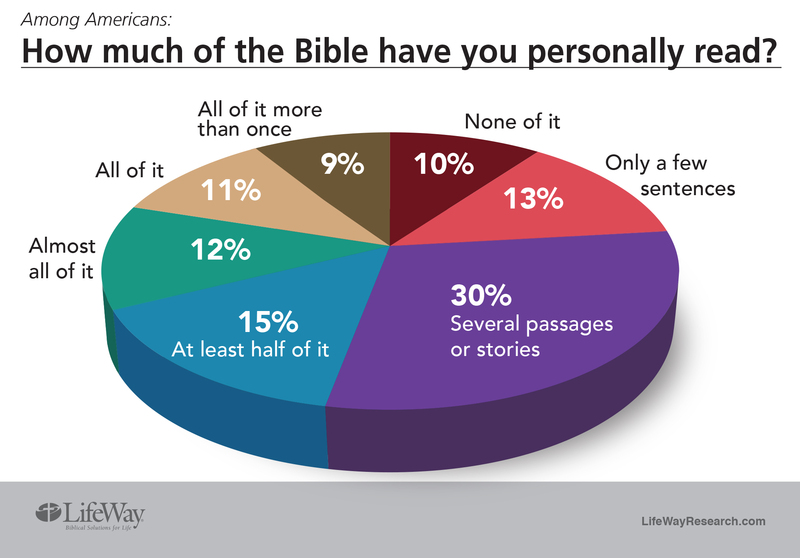 LifeWay Research conducted the study Sept. 27 – Oct. 1, 2016. The survey was conducted using the web-enabled KnowledgePanel®, a probability-based panel designed to be representative of the U.S. population. Initially, participants are chosen scientifically by a random selection of telephone numbers and residential addresses. Persons in selected households are then invited by telephone or by mail to participate in the web-enabled KnowledgePanel®. For those who agree to participate, but do not already have Internet access, GfK provides at no cost a laptop and ISP connection. Sample stratification and weights were used for gender, age, race/ethnicity, region, metro/non-metro, education, and income to reflect the most recent US Census data. The completed sample is 1,000 surveys. The sample provides 95 percent confidence that the sampling error does not exceed plus or minus 3.1 percent. Margins of error are higher in sub-groups. The phone survey of Protestant pastors was conducted Aug. 22 to Sept. 16, 2016. The calling list was a stratified random sample, drawn from a list of all Protestant churches. Quotas were used for church size. Each interview was conducted with the senior pastor, minister or priest of the church called. Responses were weighted by region to more accurately reflect the population. The completed sample is 1,000 surveys. The sample provides 95 percent confidence that the sampling error does not exceed plus or minus 3.2 percent. Margins of error are higher in sub-group.